VOTED as the most liveable city in the world for the fourth year in a row by the Economist Intelligence Unit’s liveability survey, Melbourne has become a magnet for visitors and investors. With demand accelerating in the city’s property market, many new projects are coming up, offering investors a lot of choice. 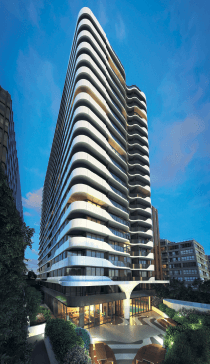 Boutique development Queens Domain is the latest addition to the Melbourne property market. The developer of the 20-storey residential block with a gross development value (GDV) of A$183 million is Kangoala Pty Ltd while its project manager is Property Development Analysis Australia (PDA Australia). Located next to Albert Park, one of Melbourne’s most famous parks, the development is 10 minutes away from the central business district (CBD). According to Sarah Harding, director of Knight Frank Asia Pacific international project marketing, the location of the development makes it very appealing as it is not only within walking distance of key places but is also accessible via the tram network. “Not only that, some of the apartments would have views of the ocean (St Kilda Beach). The top floor has a rooftop residential terrace for the residents and their guests to relax and entertain and a barbecue pit. It also offers great views of the CBD, Albert Park and St Kilda Beach. “Compared with other high-rises, Queens Domain only has 20 floors. So I would not classify it a high-rise. This is a boutique development,” she says. In total, 235 apartments will built on the 2,342 sq m parcel. The designs are 1-bedroom, 2-bedroom+2-bathroom, 3-bedroom with a choice of 2½ bathrooms (the ½ bathroom is the guest cloakroom) and two penthouses. The built-ups range from 64 to 67 sq m (1-bedroom), 68 to 101 sq m (2-bedroom), 100 to 166 sq m (3-bedroom) and 226 to 254 sq m (penthouse). Prices are from A$599,000 to A$949,000 for the regular units and A$4.3 million for the penthouses. Launches were held exclusively for Asia first in Singapore, then Hong Kong, China and Malaysia in November. The launch in Melbourne is scheduled for February next year. “Malaysians have an affinity with Melbourne. Education for their children and the number of the universities there and so on would explain why the reception to Queens Domain has been good as well,” Harding points out. The Melbourne market is very competitive at the moment. “If you read the newspaper, each week there are so many negative stories about oversupply in the market right now. But I think in the long term, you need to look at the population growth. I think in the next 10 to 15 years, Australia will overtake the average world population growth and in the next 10 years, Melbourne is going to grow and exceed Sydney in population,” observes Harding. This is further supported by data from the Australian Government Department of Immigration and Border Protection — the total number of migrants to Australia rose from 168,623 in 2009/10 to 190,000 between 2012 and 2014. Another 190,000 people are expected to migrate to Australia in 2014/15. Apart from that, the Australian Bureau of Statistics predicts that by 2031, Melbourne’s households would have increased from 1.62 million now to 2.11 million. According to Harding, the main areas of Australia like Sydney, the Gold Coast, Melbourne and Perth are seeing a lot of infrastructural growth and developments. Melbourne, in particular, has always been an attractive destination. “Investors need to be sensible about their purchases and their intention for the purchase. If it’s investment for your children to go to school and live in, then you need to look at it long term — pick a property that you are happy living in. If it is purely for investment purposes, you need to look at the rental market and who your competitors are. 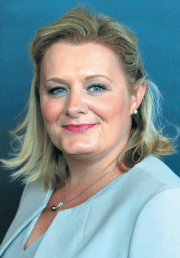 “It’s important to factor in things like how many landlords you are competing with and when it comes to resale, whether you are going to sell to another investor or a local buyer. In Australia, if you are not a local buyer, you can only buy new stock that adds to the existing housing supply. It should be suitable for the local Melbournian or Australian to buy,” she points out. For Queens Domain, buyers can expect a gross yield of 4% to 5% with 5% to 9% capital appreciation over the next 12 months. “So, one can expect a forecast return of 9% to 12% in the next 12 months,” says Harding. On the other hand, there has been much negative press on how foreign investors are causing house prices to go up, thus making it unaffordable for the local market. “There’s a great debate on this. I think it’s important to remember that foreign investors spend money on education, schooling, medical treatment and retail, which helps boost the economy,” says Harding. This article first appeared in City & Country, The Edge Malaysia Weekly, on December 29, 2014 - January 04, 2015.